Though I’m not a fan of hiking and trekking, this is one trek I just couldn’t say no to. Mount Pinatubo has considerably calmed down since its last major hissy fit eruption in 1991. What was once the site of calamity is now a popular tourist destination, attracting outdoor enthusiasts to fearlessly hike and swim in the volcano’s crater lake. 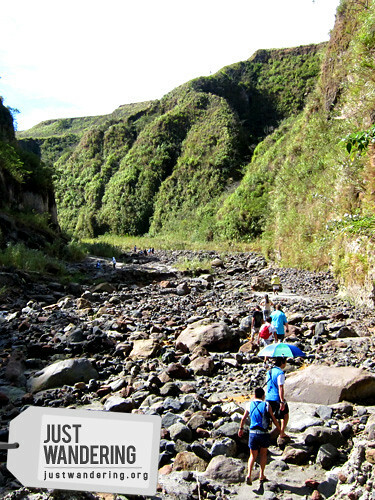 The jump of point for this adventure is Capas, Tarlac, at the Pinatubo Spa Town. They can arrange everything for you, so you just need to show up, sign up and pay up. A note for those coming in groups: best to go in multiples of 5 as the 4×4 vehicles can only accommodate a maximum of 5 passengers. No amount of sweet talking can get them to budge. Total travel time from Capas to the crater ranges from 1 hour 40 minutes fit and fast, and up to 3 hours if you want to take your sweet time strolling through the lahar bed. The bumpy 4×4 ride takes about an hour from the jump off point, taking you through flat lands and over mountains. 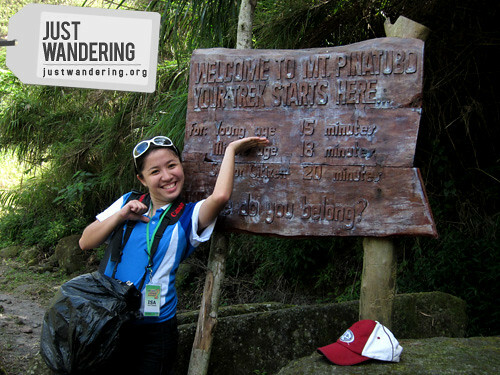 It will take you as close as it can to the crater, shortening the hike to 1 hour instead of 4. The trek begins with a descent to the lahar bed on a slope with loose gravel. Once you get down it’s a path through rocks, sometimes crossing over a small stream or two. There is a rest area and toilet at the halfway point. The terrain changes dramatically as the path is now filled with green rather than grey. A marker taunts your ego, proclaiming that the young ones can easily reach the crater in 15 minutes. As you clear the last rise towards the view deck, you are met with obviously man-made structures, no doubt constructed to make it more comfortable for tourists. After all that hiking, you need to climb down a rocky staircase to the crater. Camping is now allowed within the crater, but if you’re just staying for the day, you can swim, kayak or ride a boat to the other side of the crater lake. The lake’s depth is undetermined, so exercise caution when swimming. The water in the crater lake is cool, but it gets considerably warmer at the other side of the crater. After a long trek, there’s nothing better than to pamper yourself as a reward. After a hearty lunch of either Filipino or Korean cuisine, you can use the facilities to clean up before heading home or indulge in the unique spa. First in the 3-part treatment is the sulfur sand shower, where you will be buried underneath volcanic sand. There is heat coming from underneath, making it into a sort of sandy sauna. It is followed by a mud pack treatment using the same volcanic sand mixed with water and having it slathered all over your body. It is capped with a shiatsu massage to ease the tired muscles. The Angeles city museum is housed in a gorgeous heritage building that used to serve as the town hall. Beautifully restored and preserved, it’s a hub for cultural immersion. 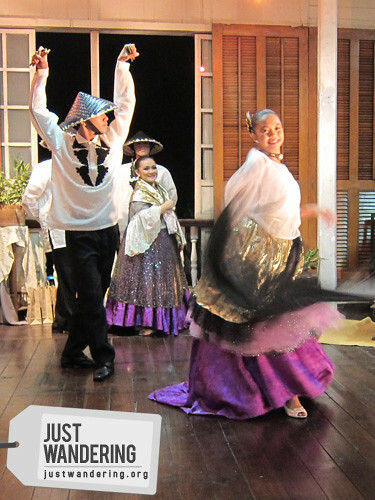 Apart from looking at exhibits about the city’s history, you can also taste the culture — traditional meals and snacks from the best suppliers in Angeles can be arranged to be served during your visit. Congrats Makoto, you made it to the crater! ok ang timing nyo, super ganda ng color ng water sa pinatubo! im so proud of you teh!! sa NEXT mountain climbing? Mahahahaha, you know me well! pano kaya pag mag-isa? malamang mahal na yung 4×4 and puwede kaya mag-overnight dun sa spa town? The best talaga ang Mount Pinatubo. 4×4 ride palang parang nasa eksena na ng travel show. will plan this trip to Mt. Pinatubo. dapat noon pa. hehe. thanks for sharing your experience Nina! and congrats too! 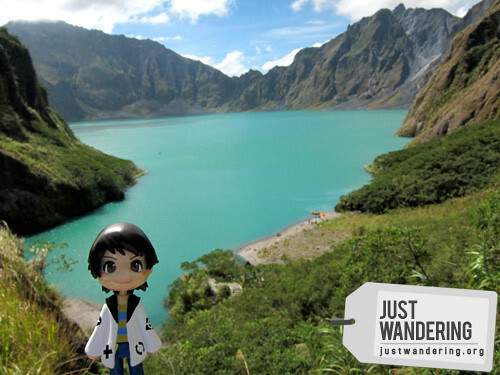 I remember my 2009 trip to Pinatubo. Man, was I tired! But it was so worth it, especially when I saw the lake. The crater was beautiful! Will I trek to Mt. Pinatubo again? Absolutely! Great post! Like you, I am not a huge trekker, but I feel like I pull this one off. Just to see that shade of blue at the lake would be worth all hassle and sore feet, and based on your pictures, it seems like they have a solution in place for sore muscles!